We offer professional legal document preparation of documents/forms to the public. Prices do not include court fees, filing fees, process service fees, faxes, mailing and telephone calls. However, notary service is included with forms prepared by Hickman Mediations & Arbitrations, LLC. If you do not see the document, you are looking for please ask and we will see if we can accommodate you. For simple small claim credit card and debt collection cases, a flat fee of $150 is applicable. The minimum fee or flat fee shall be prepaid by the parties or guaranteed by their legal counsel. Once the two hour block is complete, mediation will temporarily be paused until additional payments are made. Upon completion of the mediation conference, any unpaid fee balance is due and payable. In multi-party cases, the allocation of fees shall be determined in advance. This fee structure is subject to change without notice. 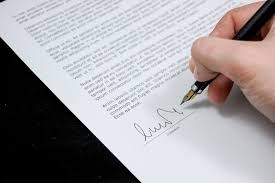 Prior to a mediation conference, the parties shall receive written notice of the fee structure and conditions. Cancellation must be received by Hickman Mediation's prior to 48 hours of the scheduled mediation. If the 48 hour cancellation policy is breached, a two-hour payment is due, based on the unlikelihood of being able to reschedule the time which was reserved for your mediation. 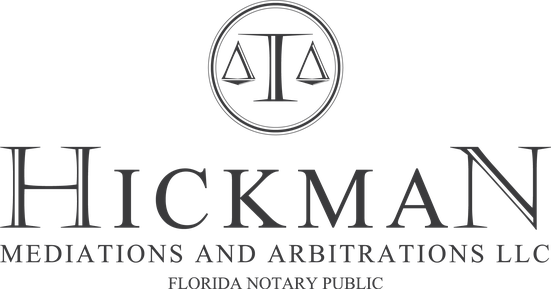 Hickman Mediation’s is a non-lawyer service and may only help clients fill out general forms and forms approved by the Supreme Court of Florida. We cannot provide legal advice. We may only help by asking factual questions to fill in the blanks on the form. Hickman Mediation’s may also inform clients on how to prepare the forms if they prefer.